Even though the CRC has been in existence for 25 years and many steps have been taken to better the lives of children out current reality in South Africa is that child abuse is still very present in our communities. The remembrance of this historic day therefore serves as an urgent reminder that much remains to be done. Too many children still do not enjoy their full rights on par with their peers. 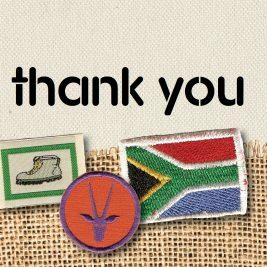 From within SCOUTS South Africa we want to thank all our Scouters and parents for respecting the rights of children and working hard to empower them to be the best they can be.